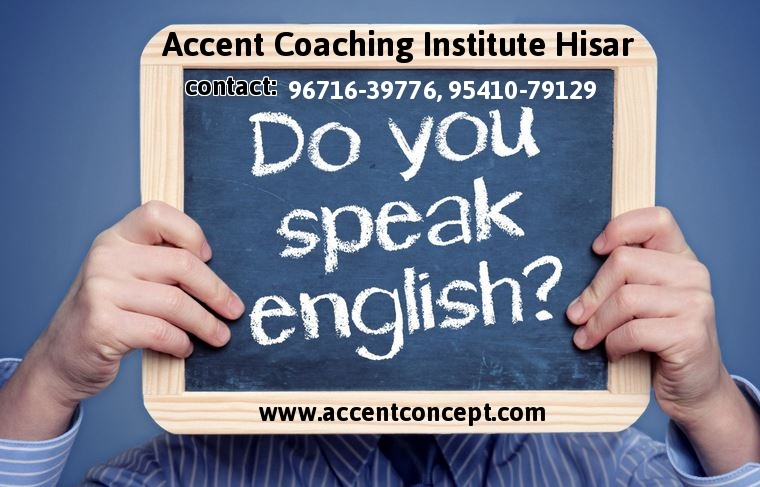 ACCENT COACHING INSTITUTE for English Language is unarguably India’s best-known leading institution(Best English Speaking Course in Hisar) where one can learn highest standards of modern day communication from the best instructors. 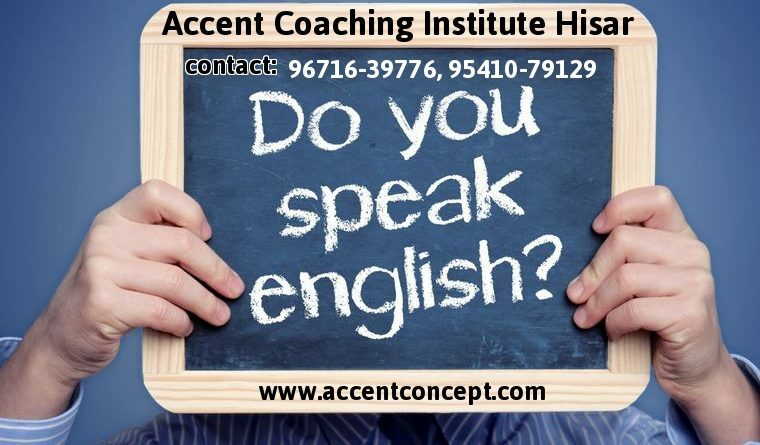 Our exclusivity lies in the fact that ACCENT is not just meant for students who want to learn basics of the language or excel in academics – be it in school or college, but also for employees who work in private or government organizations and want fluency and complete command over English language. Especially for Working candidates and Housewives…. 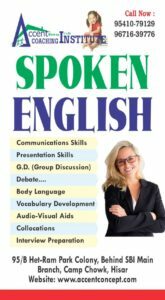 # Vocabulary development for speaking fluently & confidently…. 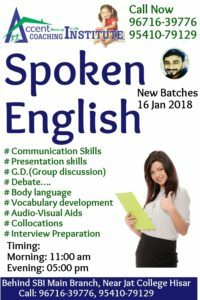 # Talented & deserving students(After getting a good grade in Test) get Certificate………..
Interview techniques course of 2 weeks Classes for housewives Special courses for kids of 4yr. to 15 yr.